Joint production of the St. Petersburg Chamber Opera and Musical and drama theatre "The Blue Bird". The artistic director of the St. Petersburg Chamber Opera, the People’s Artist of Russia, Yuri Alexandrov, is known as the master of restored opera scripts. This time he prepared for St. Petersburg citizens and visitors, the premiere of César Cui’s "Puss in Boots". The charm of the Charles Perrault’s fairy tale, full of tenderness, wittiness and French elegance – this is a new production of the theatre. It should be noted that César Cui is the only composer of his generation who created pieces for children. "The Puss in Boots" was created by him in 1912. 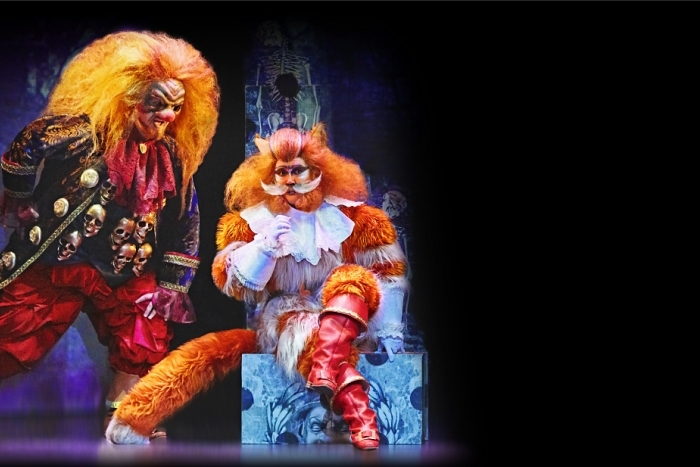 After a century the fairy world of his opera is restored on the stage of the St. Petersburg Chamber Opera.